Offline english danish dict. 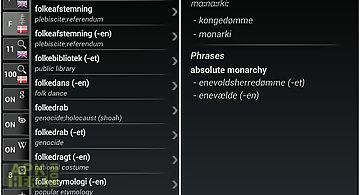 app for android description: Engelsk dansk ordbog offline. Over 9- 000 words and expressions bookmark your favorite translations for fast reference works offline! 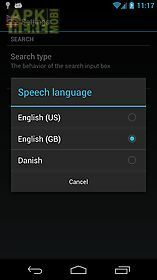 No internet connection needed perfect for your trips or when no data connection is available listen to the correct pronunciation in british or american english and danish (if installed) using android 39 s built in text to speech synthesizer. Share translations by sms email etc. If you like the application please consider upgrading to the ad free version to support the development. Thanks : )faq: q: how can i share a translation? A: just press 2 3 seconds over the translation and you will be presented with a menu with all available sharing options based on the apps installed in your device (email sms etc)q: how can i change the speed of the voice? A: the speed of the speech is controlled by the tts engine installed with android. It can be set up by going to: settings voice input output settings text to speech settings speech rateq: how can i change the speech language? A: just go to menu settings and select the language. Currently 3 languages are available: english (us) english (gb) danish (if installed)disclaimer: the text to speech (tts) technology may not be available in some devices. 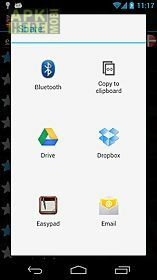 To check if your phone is able of speech synthesis: menu settings voice input output text to speech settings. If not installed your device may ask you to install the tts engine. An internet connection may be required. We recommend installing it before traveling as roaming data tariffs may be very expensive. 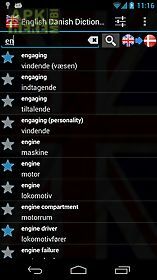 Related Apps to Offline english danish dict. 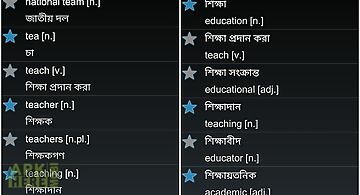 Selling over 1 000 000 dictionary apps more than 79 000 translation pairs voice pronunciation and input integrated google bing translate phrases no interne..
offline english bangla dictionary over 1- 000 words and expressions. Works offline! No internet connection needed no extra files to download! 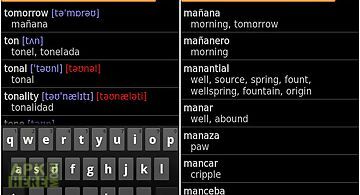 The best tra..
Dic o spanish english and english spanish off line dictionary with pronunciations (67000 translations). Angielsko polski i polsko angielski s ownik offlineoffline english polish dictionary. Over 60. 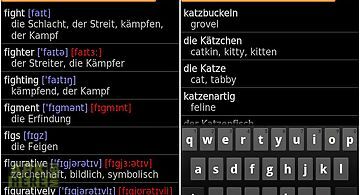 000 words and expressions bookmark your favorite translation..
Dic o german english and english german off line dictionary with english pronunciation (68000 translations). anglicko esk slovn k offlineoffline english czech dictionary over 16- 000 words and expressions bookmark your favorite translations for fast reference wor..
Dictionnaire anglais fran ais hors ligneoffline english french dictionary over 60. 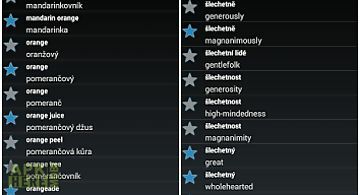 000 words and expressions bookmark your favorite translations for fast r..
Offline english russian dictionary over 70. 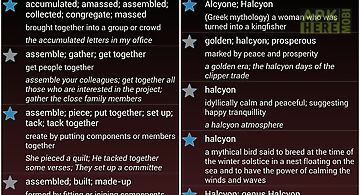 000 words and expressions bookmark your favorite translations for fast reference works offline! No internet con..
Diccionario ingl s espa ol offlineoffline english spanish dictionary more than 8- 900 words and expressions bookmark your favorite translations for fast re..
offline english farsi dictionary over 130. 000 entries (words and expressions). Works offline! No internet connection needed perfect for your trips or whe..
Polish - english offline dict. Dic o polish english and english polish off line dictionary with pronunciations (31000 translations). Offline english dictionary and thesaurus straightforward and precise definitions of over 140. 000 words works offline! No internet connection needed no ext..